Dental Extraction is the removal of a tooth from the mouth. It is performed for a wide variety of reasons including rampant caries, failed root canal treatment, a cracked tooth or gum disease. In your appointment your dentist will examine your tooth and explain the reasons why it needs to be extracted, an x-ray will be taken to help planning the best way to remove the tooth and to see if an abscess is present. If an abscess is present your dentist will then give you a course of antibiotics before your tooth is extracted. After the extraction you will be given a list of do’s and don’ts. You need to follow this to ensure that there are no complications and that your tooth socket heals as quickly as possible. Is the procedure painful? Of course not. The only painful part of the treatment will be the application of the local anaesthetic. Your dentist at United Smiles will make this part as mild as humanly possible. The anaesthetic is an important part of the procedure, as this will numb the entire area of the extraction so when the dentist pulls the tooth, you will feel no pain. If you have any concerns, feel free to ask your dentist. Your Mernda dentist at United Smiles will be pleased to answer all your questions. We want you to be relaxed and comfortable during treatments. 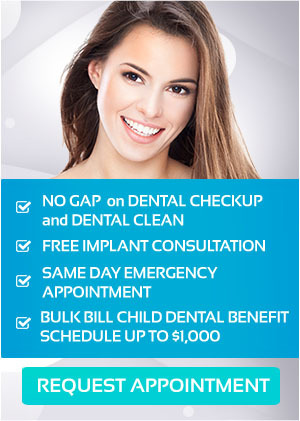 Contact us now on (03) 8682 8658 or make an appointment online.